Google has decided to cancel its Android event in New York City that was planned for Monday October 29. The move came in anticipation of Hurricane Sandy, which is currently looming off the east coast of the U.S. and threatening to make landfall in the New York and New Jersey area by Monday. One can’t really blame Google for backing out given the hype that Hurricane Sandy is receiving. It’s been described as “unprecedented,” “historic,” and “that storm from The Day After Tomorrow.” Assuming the last prediction is correct, just take cover in a library and you’ll be totally fine. The fear surrounding the storm isn’t from Sandy itself, but the fact that it will likely connect with a cold front and create a nor’easterner/hurricane hybrid. 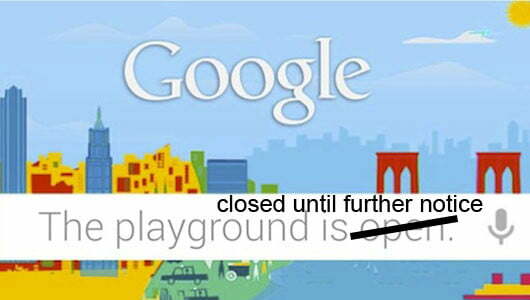 No matter what Sandy turns out to be, it’s enough for Google to close down the playground until a later date. In its statement, Google didn’t offer much detail, simply stating, “We are canceling our Monday morning event in New York due to Hurricane Sandy. We will let you know our plans as soon as we know more. Stay safe and dry, The Android Team.” There is no word yet on a replacement event, which means we’ll have to wait to get a look at everything rumored to be on display at the October 29 event — unless you find a Nexus 4 in a bar. Microsoft rejoiced knowing they would finally have the entire spotlight on them, as it plans to show off Windows Phone 8 on Monday in San Francisco. That will have to tide mobile fanatics over until Google reschedules. Until then, and to echo the Android Team’s regards, stay safe if you’re on the east coast.